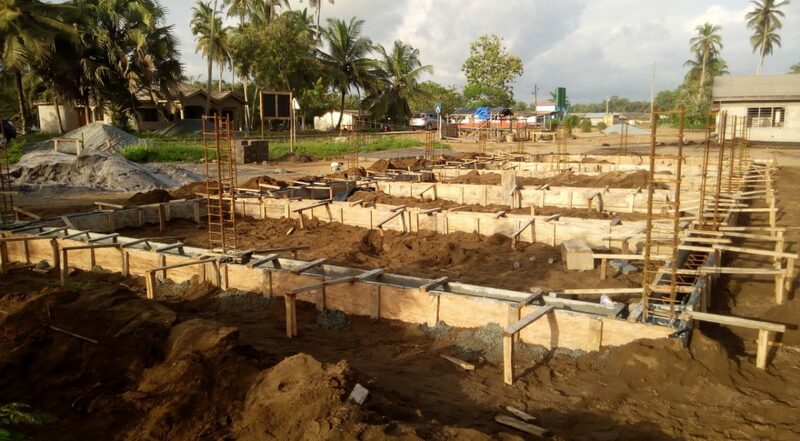 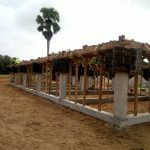 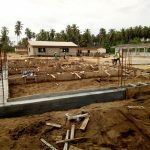 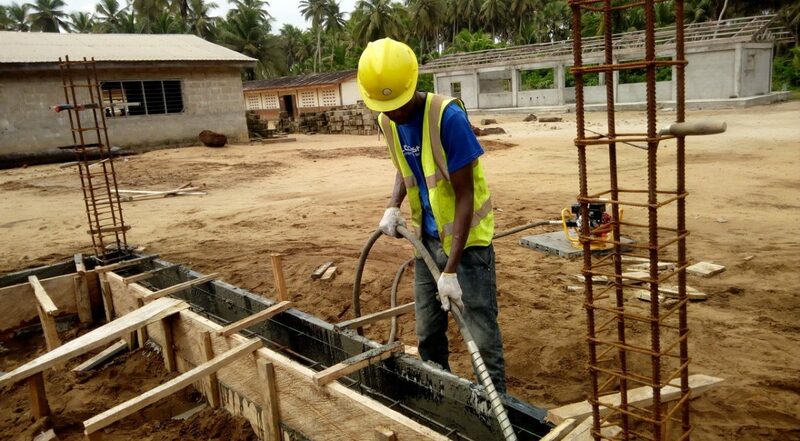 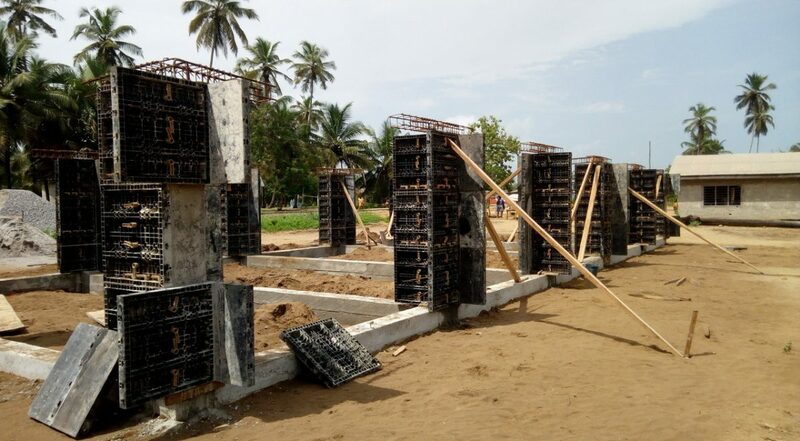 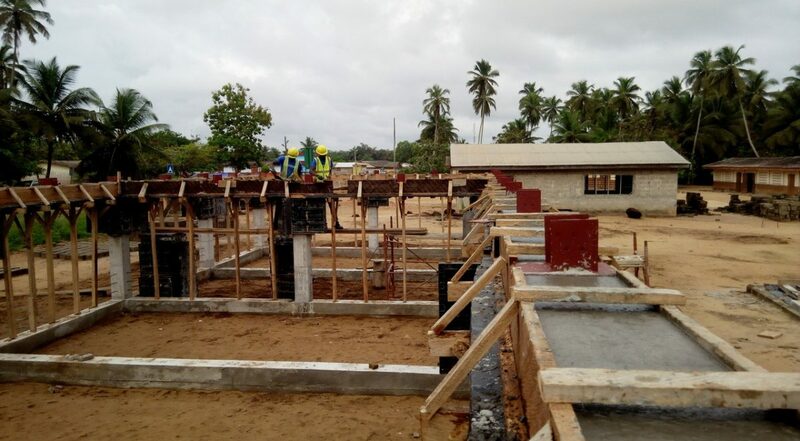 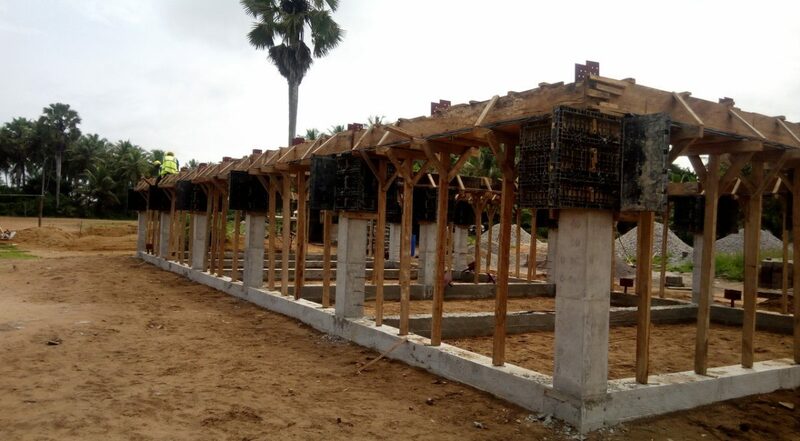 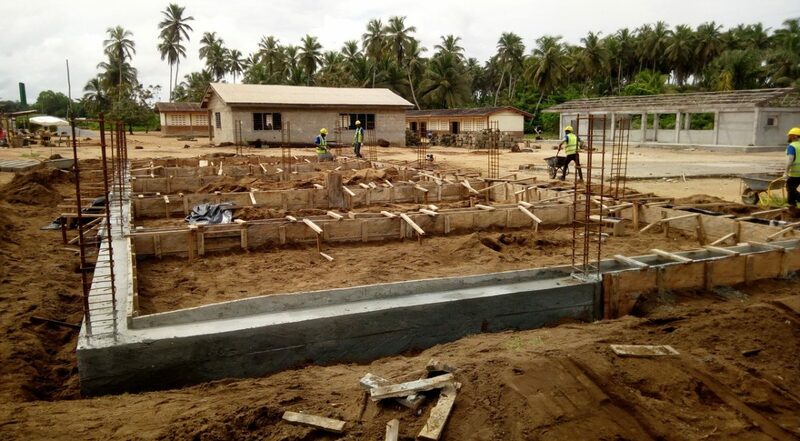 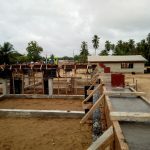 Construction of the new kindergarten school in the community of Krisan-Sanzule in the Ellembelle District of Ghana’s Western Region is well underway. 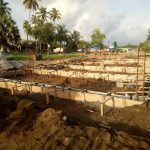 Once the foundation ground beam was complete work commenced on the columns. 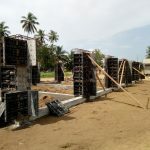 Steel bars are fixed in place and then formwork is used to create the shape of the columns so that the concrete can be poured into it. 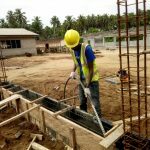 The concrete is then cured, which is a vital process to ensure adequate strength and durability. 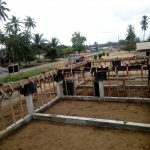 With the columns complete the upper ring beam was started and truss shoes put in place, which will be used to fix the roof trusses. 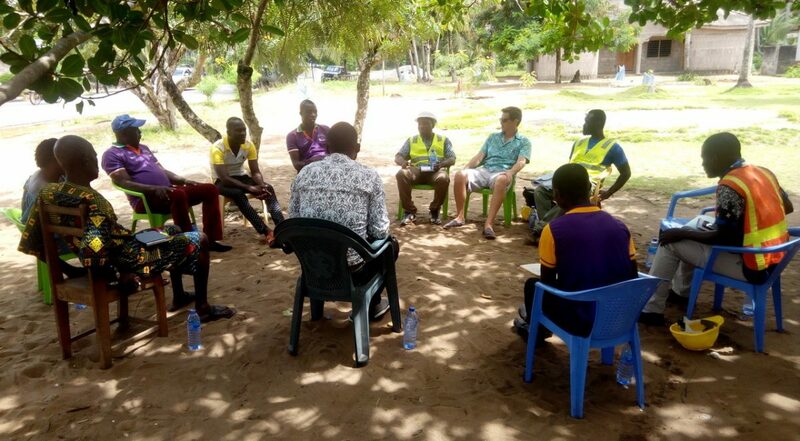 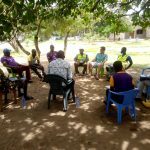 The first of the monthly project meetings has been held with key stakeholders, including the contractor, Tullow Oil, Assembly member for the area and representatives from the Krisan-Sanzule community. 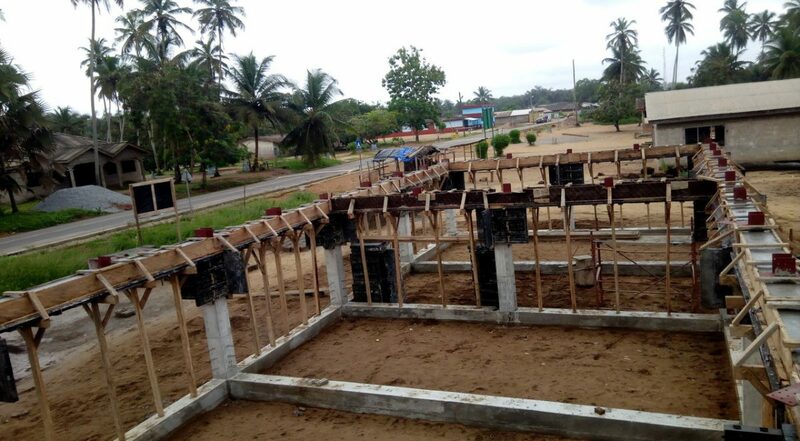 Watch this space for more updates from Krisan-Sanzule….